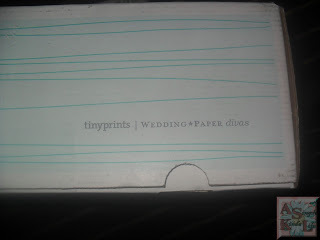 Tiny Prints provides simple, modern and unique stationery from Christmas cards to personalized greeting cards to thank you cards and even business cards. Offering exclusive designs from the nation’s top designers, easy card personalization, a powerful preview engine and top-notch customer service and paper quality, their designs have been lauded by numerous television networks, publications and celebrities. With Tiny Prints by your side the Holidays will be a cinch! They offer perfect party invitations for every occasion and memorable personalized photo-gifts like notebooks, photo-books and calendars. 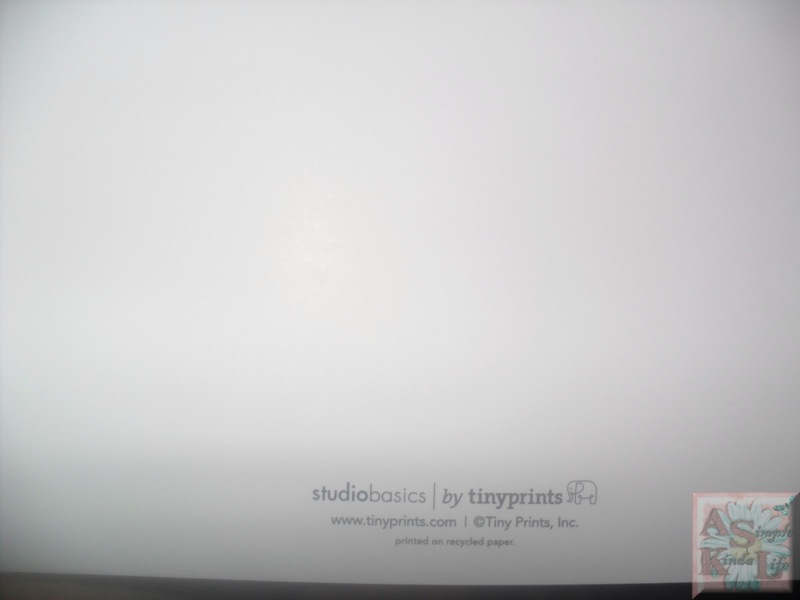 I've always looked at Tiny Prints' designs and coveted their products, and finally I get to do a review of them! 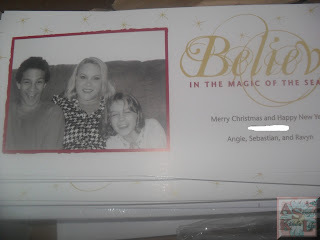 On behalf of Global Influence, I was selected to receive 75 Christmas cards from Tiny Prints. I finally got my cards today (due to late ordering) and I love them! Not only do I love my cards, but browsing through the card designs was fun. I selected my card (a photo card) after browsing around for a little while. I chose my photo I wanted to add to the card, and at first the one I wanted, was too large, so I had to go to PaintShopPro and edit my photo (compress it for the Web) and I made it black and white instead of color. I also like this Merry Script Tri-Fold Card, but I didn't have three Christmas-themed photos to use for this design. I also loved this Damask Darling (in Spanish Red) Die Cut flip card. I must say, the ordering process for these cards was very simple. I think the total time I spent ordering the cards took about 5-7 minutes (minus browsing time). There is a large selection of cards to choose from, so it took awhile to find the perfect card! Not only was the ordering process easy, I'm extremely happy with the cards, as well as the fact that they include envelopes! I don't have to hunt around in my local stores to find the perfect envelope to fit these cards, because these are long cards and it might be a chore to find the envelopes! These cards are excellent quality and I know that the recipients will love them as well! 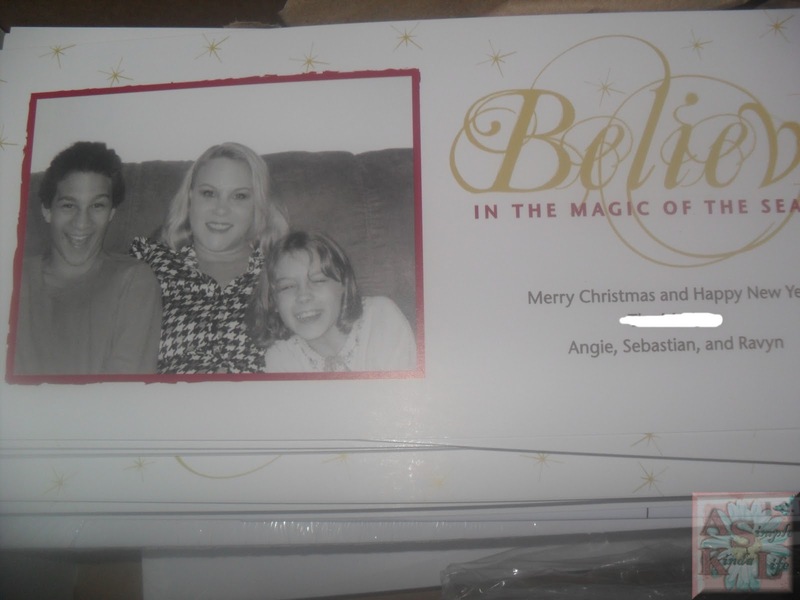 Not only are the cards able to be personalized on the front, but you can also personalize the back of them! 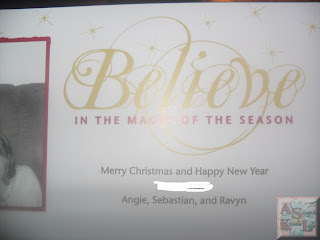 I opted not to do these cards with any personal message, but I think next time I will! *If you are a blogger, and you'd like to review Tiny Prints Christmas cards, please fill out this form! Tiny Prints will be giving out 60 cards to select bloggers. Good luck! Disclaimer: I was sent the product named above to review on behalf of Global Influence. The opinions expressed above are solely my own and yours may differ. Receiving a product will NEVER influence what I write in any review. I was featured at Giveaways 4 Mommy!